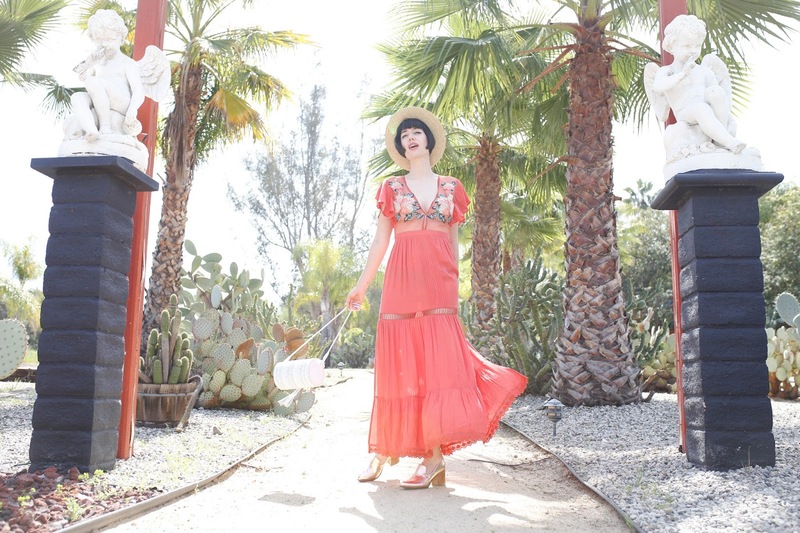 Today I had the pleasure of shooting with Heather in an amazing cactus farm with my new dress by Cleobella. This entire shoot was inspired by Coachella. I never wear maxi dresses but when I do I love them. This one reminds me of Spain, I love the embroidery. The details in this dress kill me, it's always about details for me. I styled this dress with my new cylinder bag by Cleobella and my adorable gold oxfords by Angela Scott. My straw hat and big brim hat is by Brixton, they are one of my favorite hat companies by far. I hope you enjoy these beautiful shots. Heather did an awesome job, find her on IG @seizingbeauty.